Tall, strong, and fierce, Yobuko is also young and inexperienced compared to his Ijin counterparts. This blend of natural ability coupled with an, as yet, unrivaled capacity to fight might be the most frightening aspect about him. 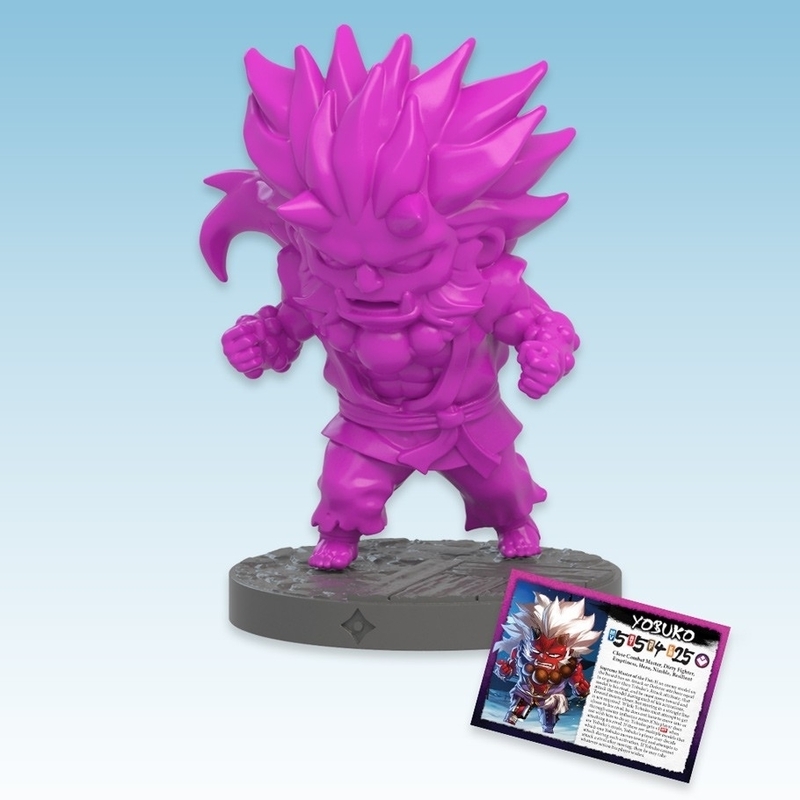 His power is already so incredible that he is already the rival of many of his masters, and he is also constantly testing his mettle against full-blooded oni twice his size to the amazement of all of his clansmen.